You can get Wireless Noise Cancelling Bluetooth 5.0 Headphones reduced from £43.99 to just £22.00 with Prime delivery. 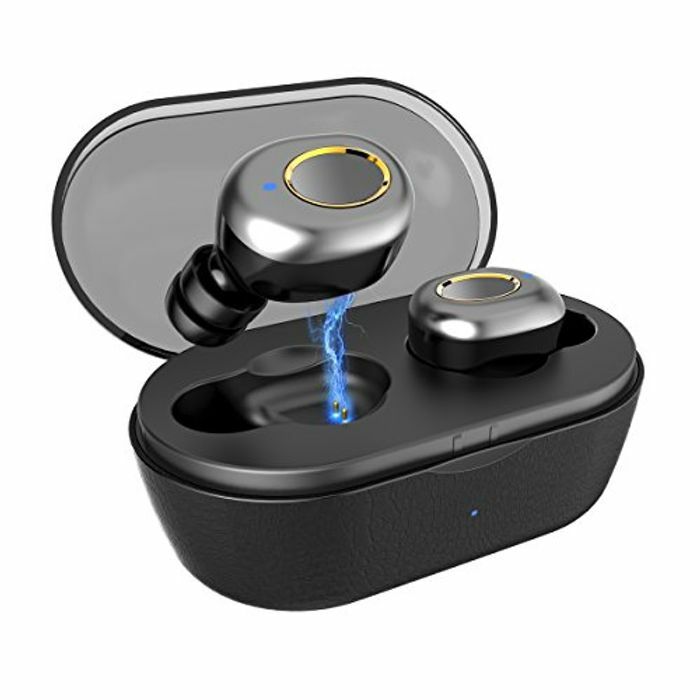 EASY TO USE AND CHARGE ★★operation is simplified ,our waterproof running earphones are easy to use with all function served by one key that combines On/Off/Answer /Reject/Play/Pause. ★ earphones can be charged automatically and four additional charging cycles can be delivered by the portable charging case .